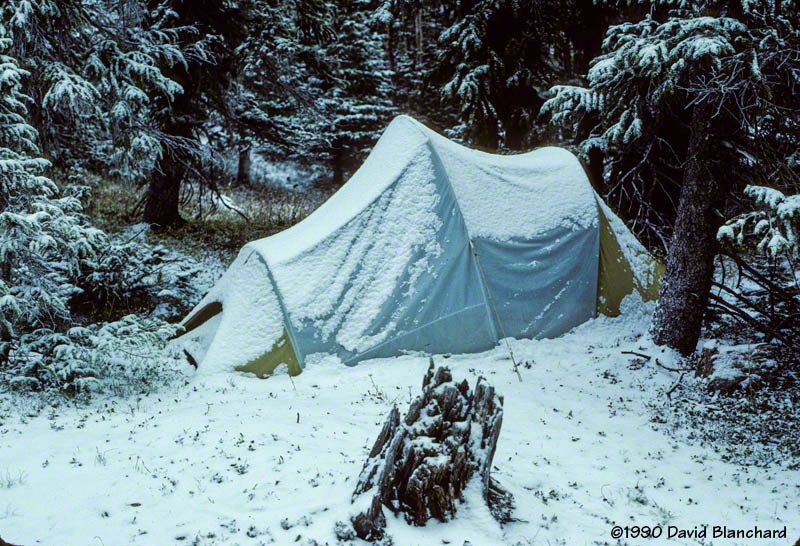 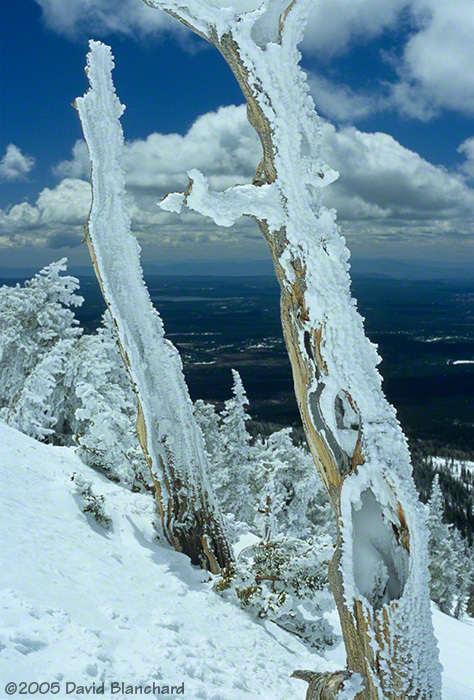 Upper slopes of Humphreys Peak, Arizona. 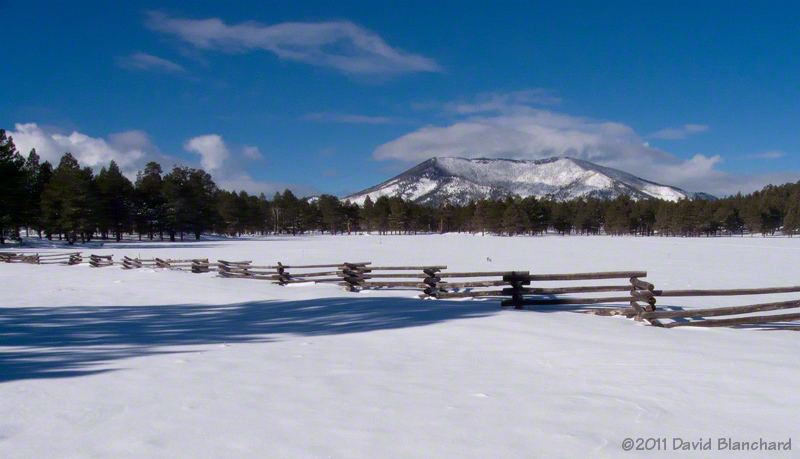 Fence line, Sunset Trail, Flagstaff Arizona. 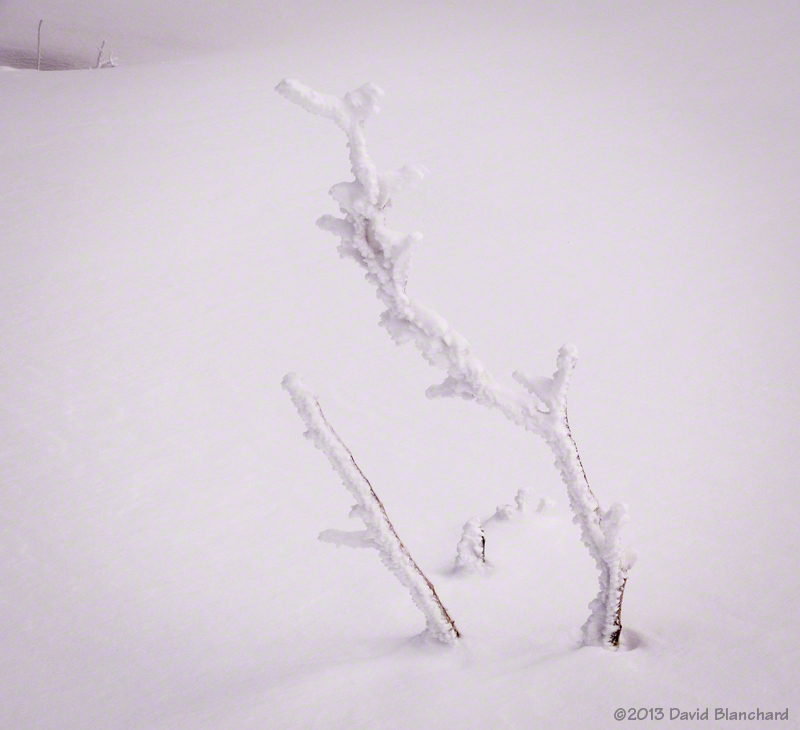 Fence line, Kendrick Park, Arizona. 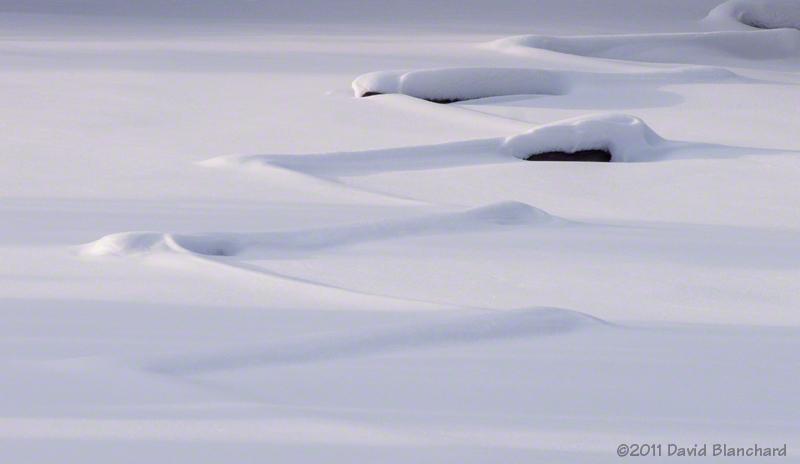 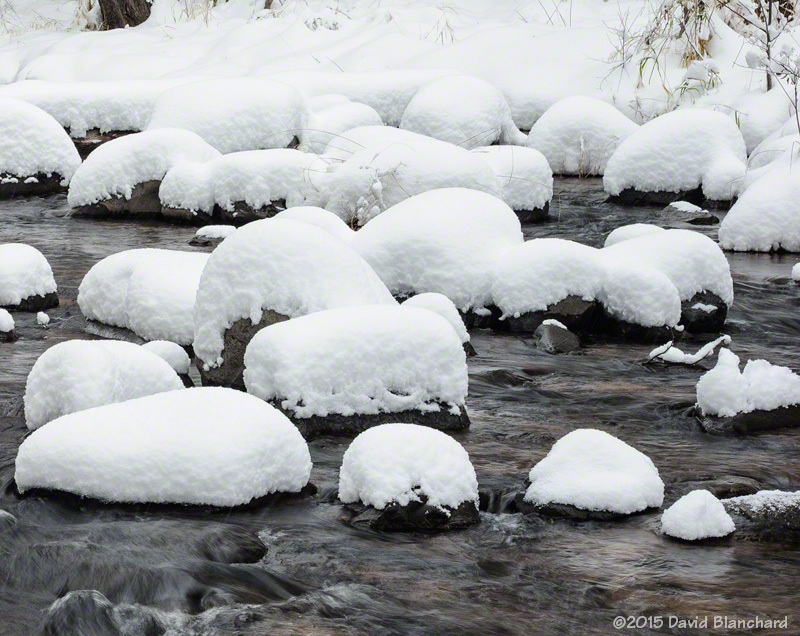 Pillows of snow atop rocks in Oak Creek, Arizona. 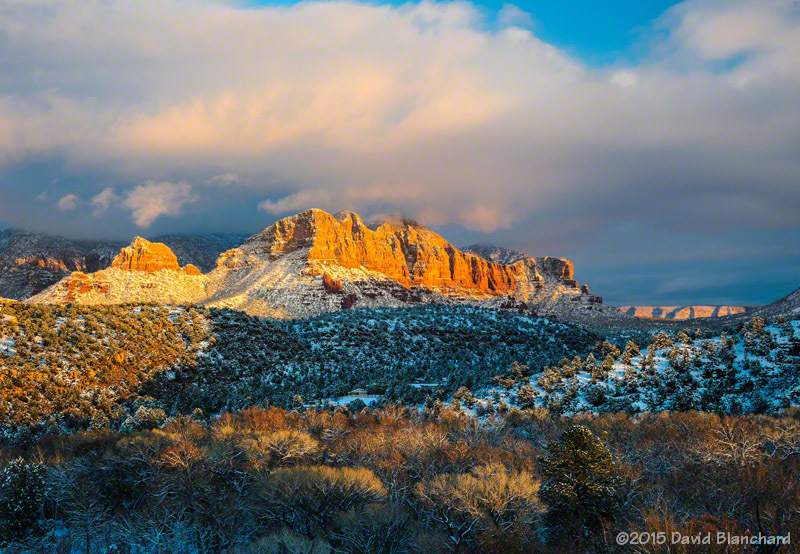 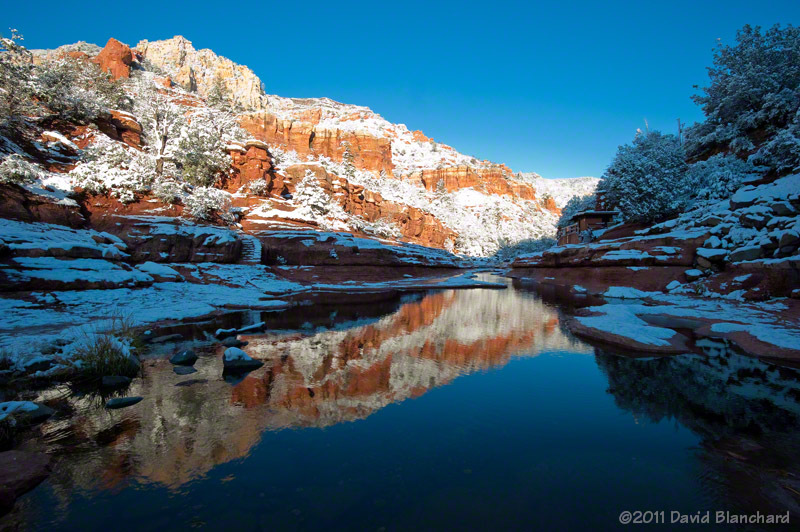 Snow and sunset colors over Sedona, Arizona. 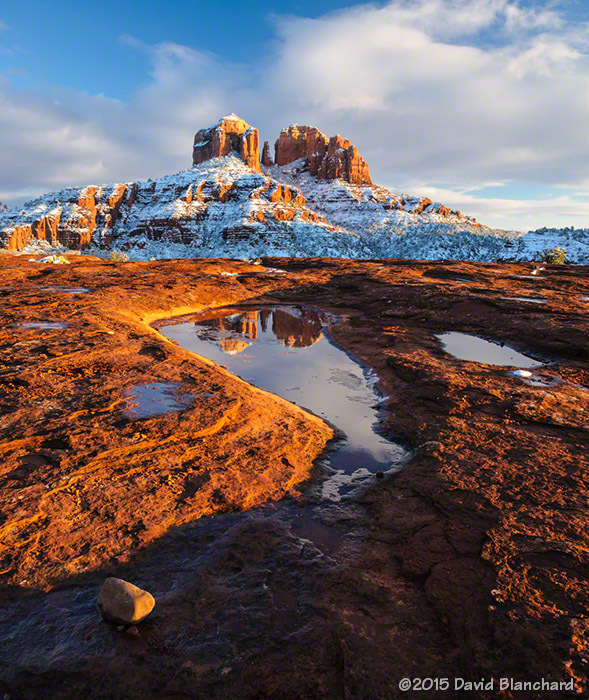 Fresh snow on Cathedral Rock, Arizona. 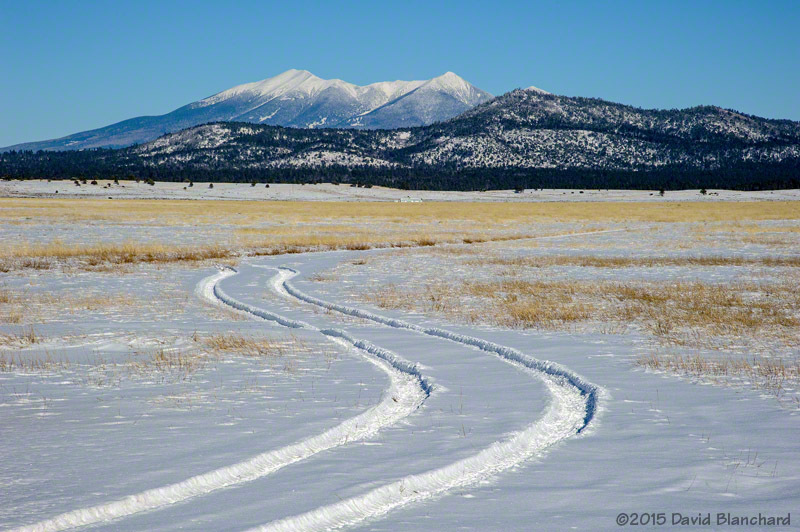 Garland Prairie and San Francisco Peaks, Arizona. 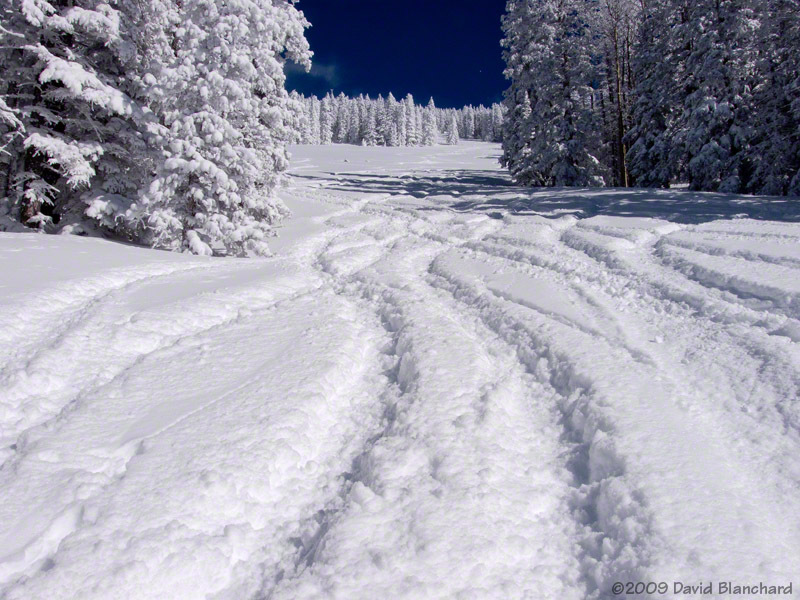 Winter tracks, Kachina Peaks, Arizona. 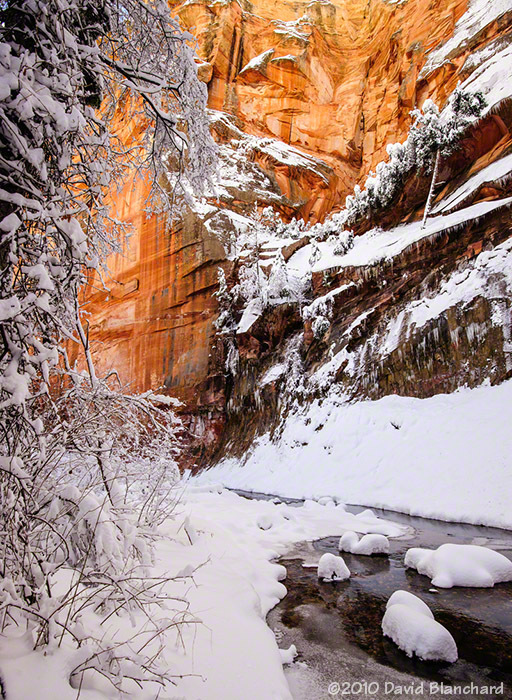 West Fork Oak Creek, Arizona. 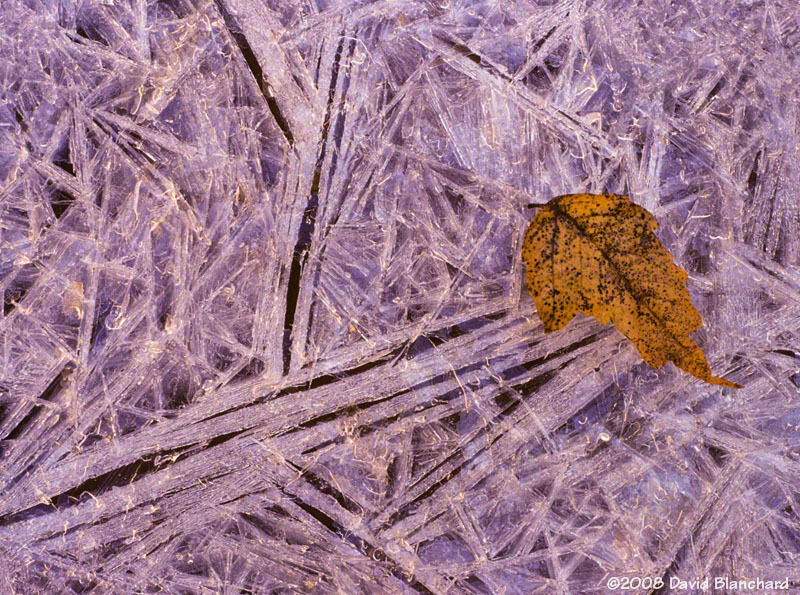 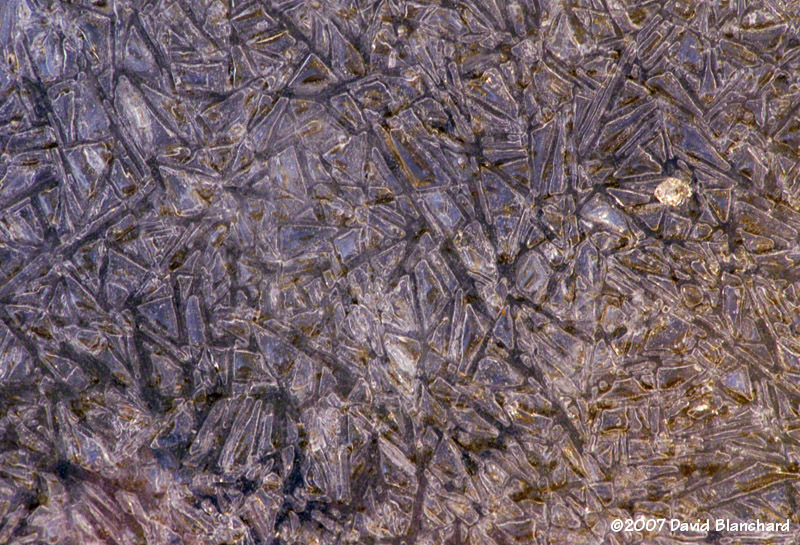 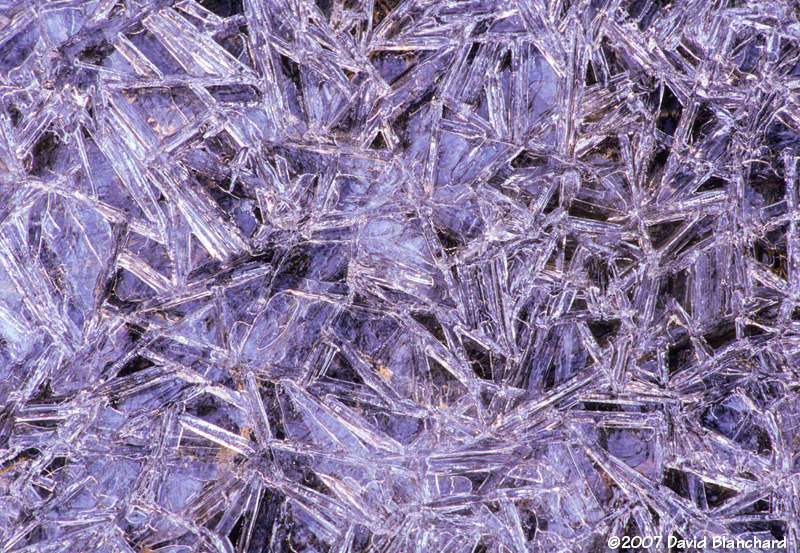 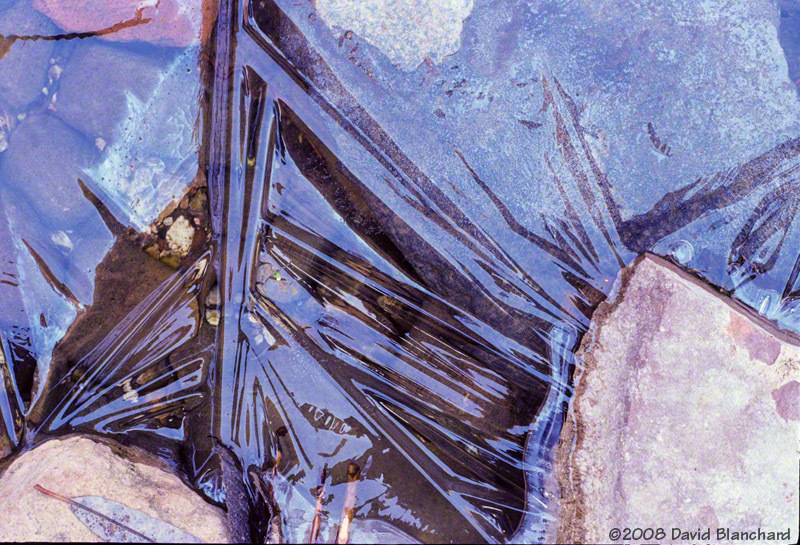 Ice crystals, West Fork Oak Creek, Arizona. 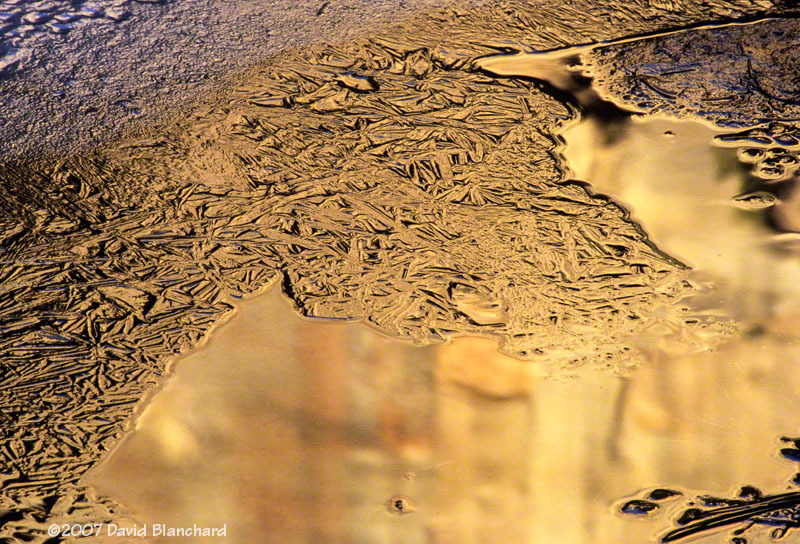 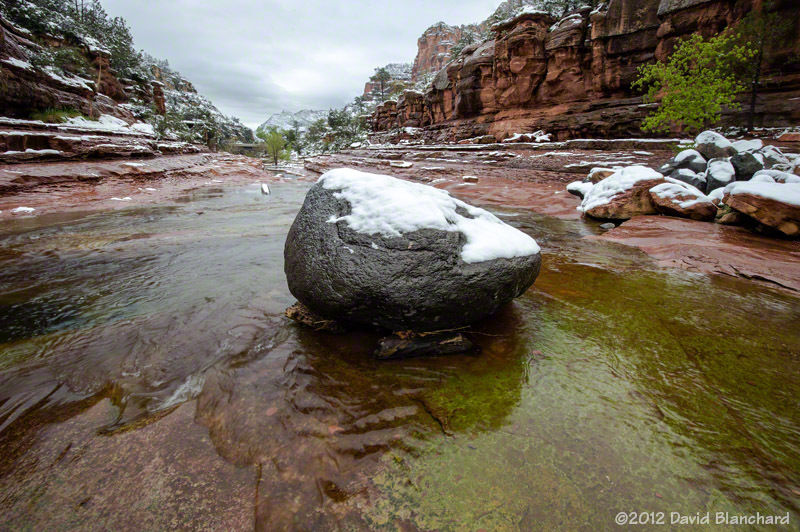 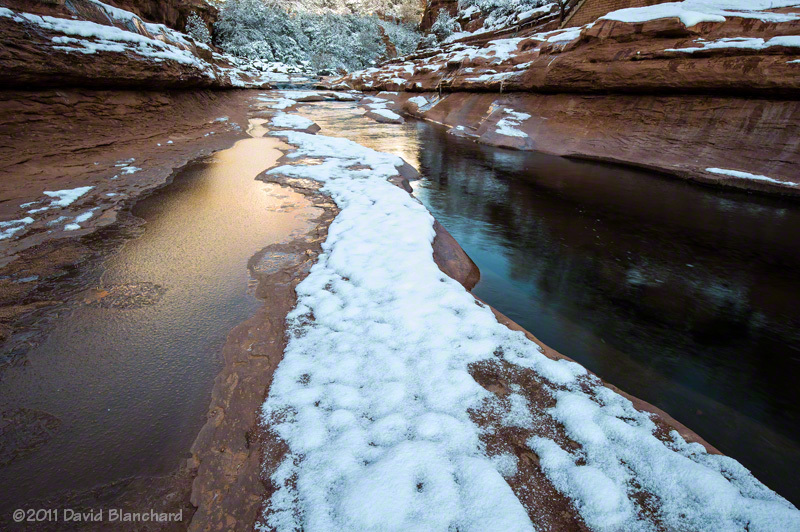 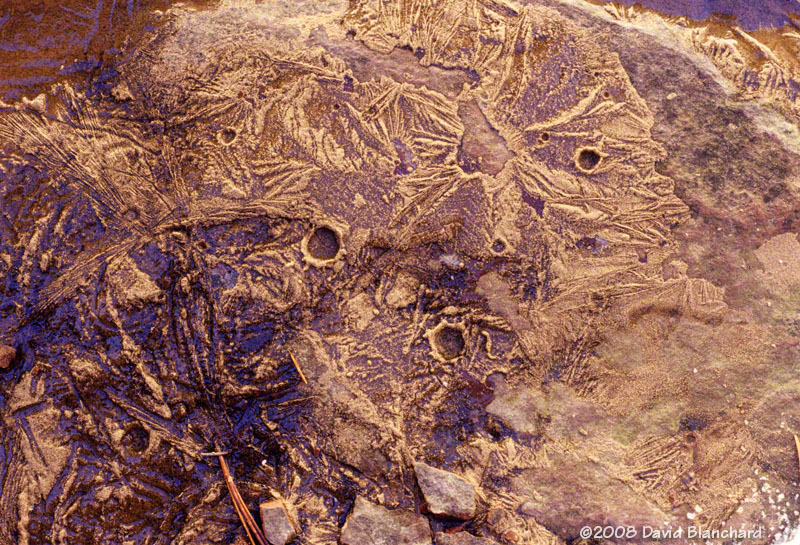 Frozen mud, West Fork Oak Creek, Arizona. 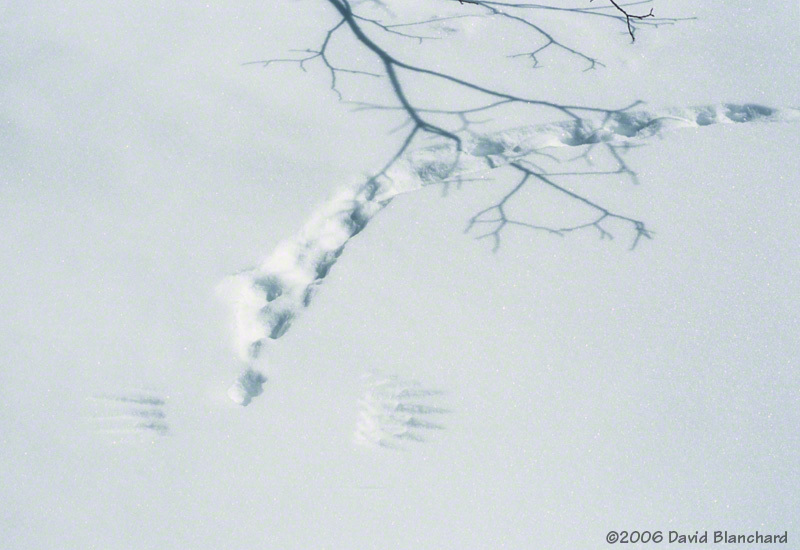 Ptarmigan foot and feather prints, Colorado. 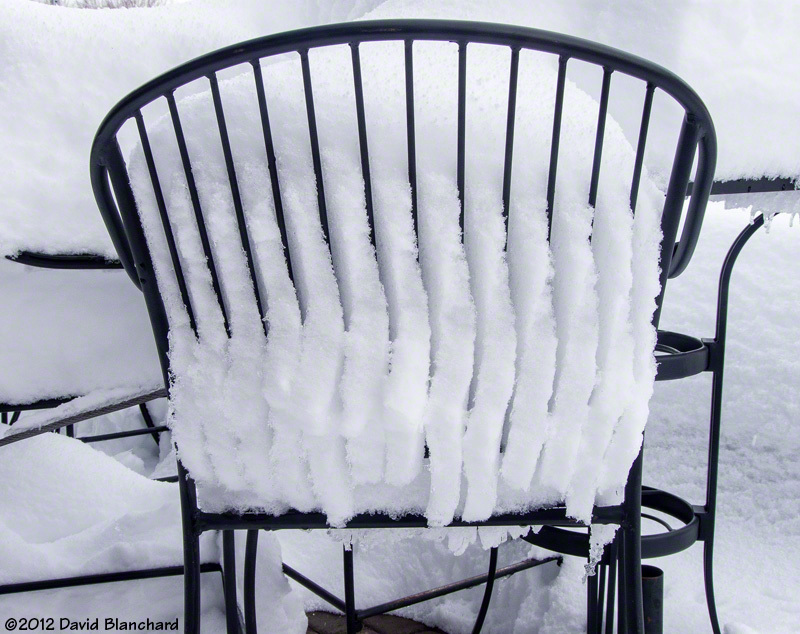 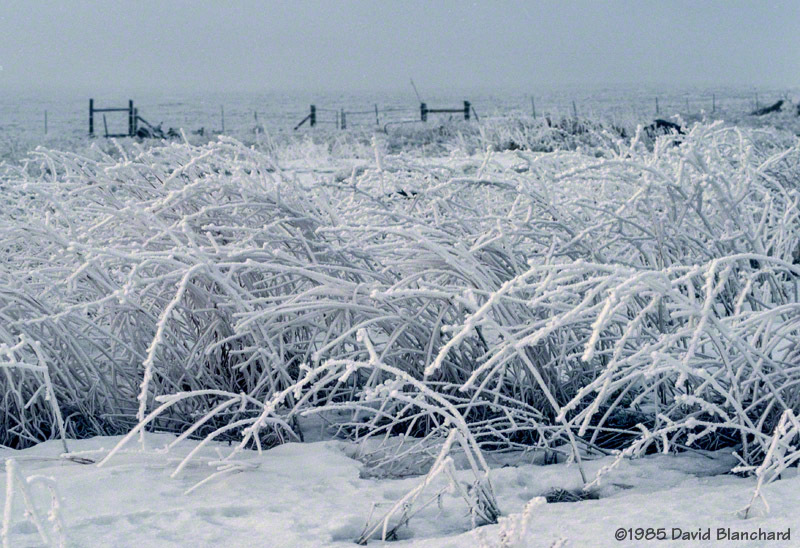 Rime on grasses, Boulder, Colorado. 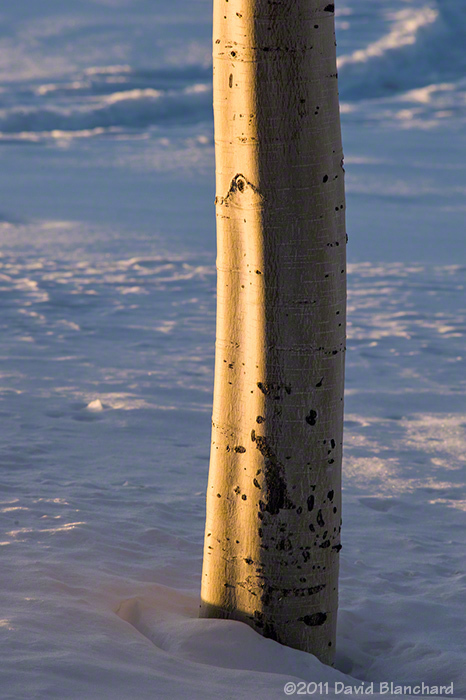 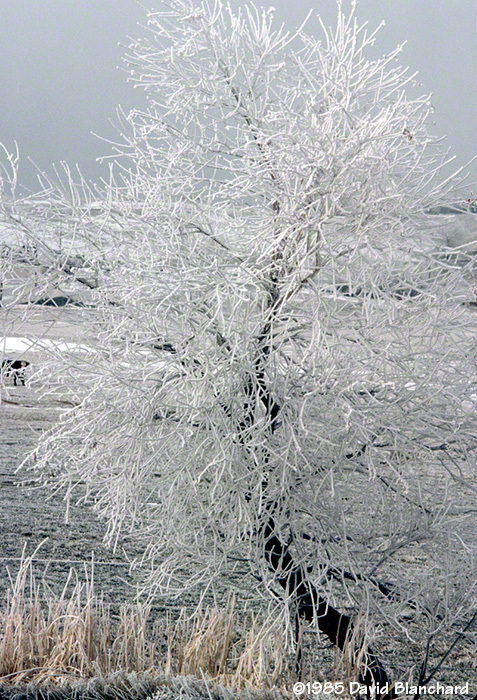 Rime on trees, Boulder, Colorado. 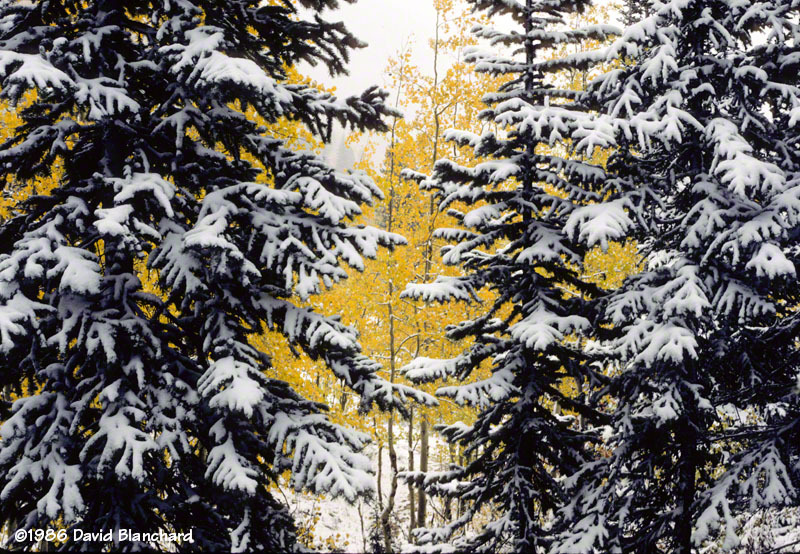 Autumn colors and snow, Snowmass, Colorado. 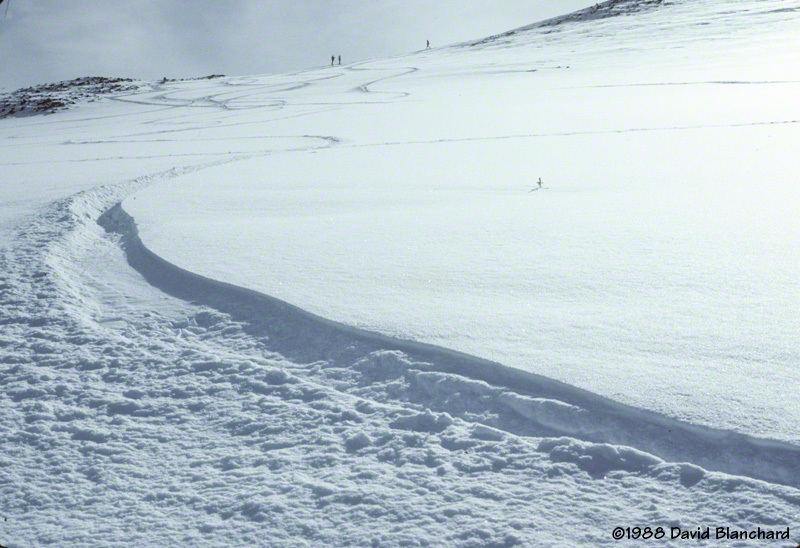 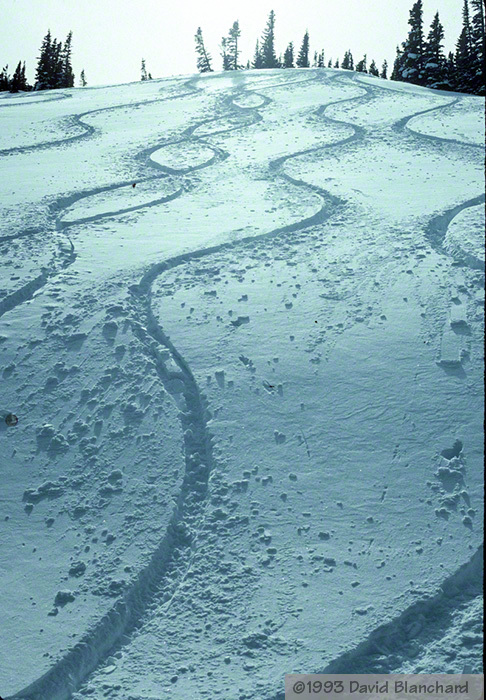 Ski tracks, Rocky Mtn. 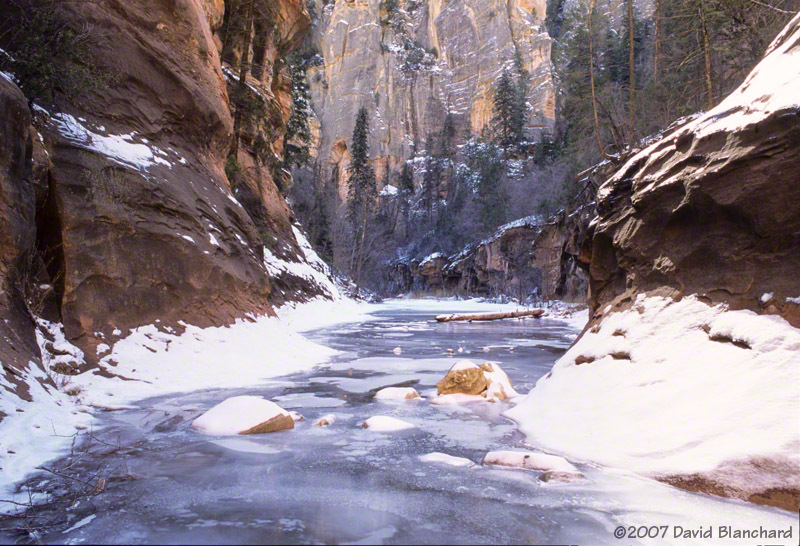 National Park, Colorado. 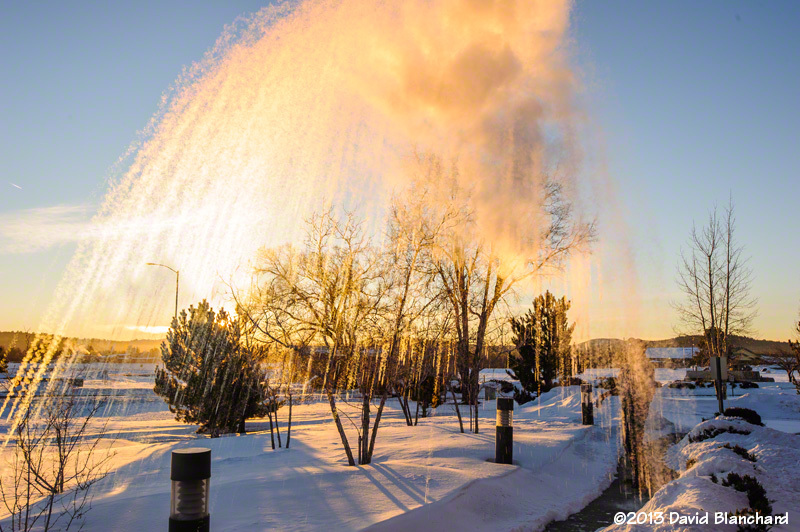 Boiling water at -30°F, Arizona. 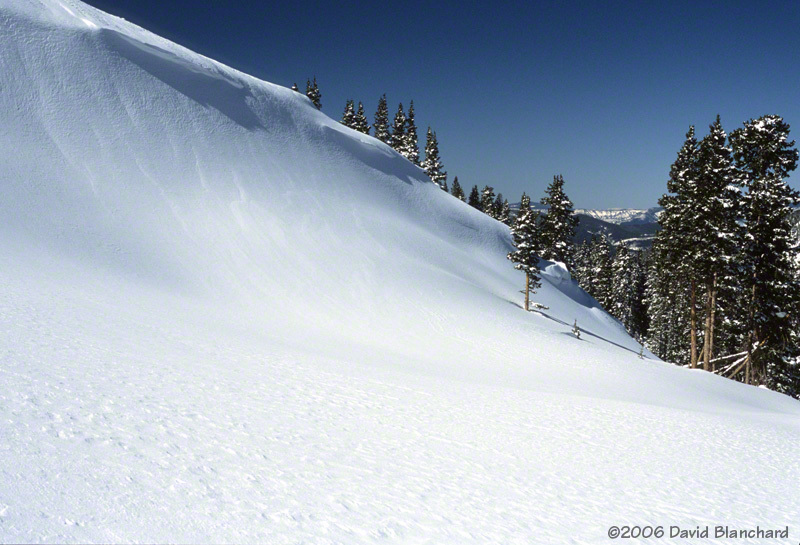 First snow of the season, Colorado.